Draft EU reform proposals have been tabled. Promise to cut red tape and simplify legislation welcome. PM must heed views of senior UK and Irish accountants. With a draft deal on EU reforms now on the table, politicians should heed recommendations from senior accountants. The battle for Europe is hotting up. Things are moving apace. The draft deal published yesterday (Tuesday) by European Council President, Donald Tusk, will be seen by some as the basis for maintaining British membership of Europe. Others will be sceptical that it is enough to guarantee that the great British public don’t hit the exit button. A promise to cut red tape, simplify legislation and reduce the burden on business will be welcome in every boardroom in the land. But most board members will be forgiven for wondering 'plus ça change, plus c'est la même chose' (the more things change, the more they stay the same). Media coverage will focus on an “emergency brake” on migrant benefits. Finance professionals may be more interested in the roadmap which will either result in an end to this uncertainty or bring a British exit from Europe. Next stop on the European rollercoaster will be a summit on 18 and 19 February where the details will be hammered out. These five key reforms might just do more to help British business than the forest of words in the draft declarations issued from Brussels. Then there would need to be agreement at the European Council on 28 February, possibly paving the way for a referendum in June. Coincidentally yesterday as the news broke from Brussels, I was at a round table organised by the CCAB – the umbrella body for UK and Irish Accountancy bodies – which made some excellent recommendations taken from the views of senior members of all the Institutes. Single statement of EU and national responsibilities: with calls for a charter, operating model, or single document clearly setting out certain basic principles of the EU. Greater accountability and transparency at EU level: to address a perceived lack of transparency, democratic deficit and a belief that unelected officials in Brussels may not make decisions in the EU’s best interests. 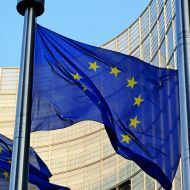 Closer harmonisation of reporting regimes including taxation reporting regimes: hastened by the expansion of digital services, to facilitate strong demand across common markets for services and for capital, with the suggestion that the OECD’s Base Erosion profit Shifting (BEPS) protocols could be transposed into EU legislation. Portability of earned labour benefits: to facilitate free movement of labour with regards to qualifications, pension contributions, health insurance and other earned social benefits in an ageing Europe. 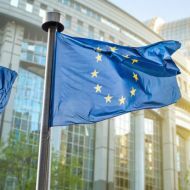 Vision for business in the EU: to further harmonise EU economic structures, including companies being able to submit tax returns to an EU clearing house that would distribute these proportionally to the Member States in which the income was earned. Prime Minister Cameron and his negotiating officials would be well advised to take heed of the accountancy profession’s suggestions. These five key reforms might just do more to help British business than the forest of words in the draft declarations issued from Brussels. You can find out more about this on icas.com.